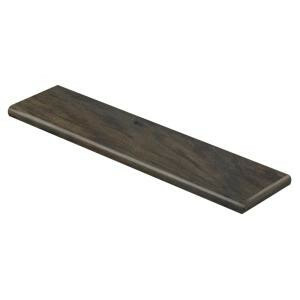 Buy online Cap A Tread Carmel Coast Teak 47 in. Length x 12-1/8 in. Deep x 1-11/16 in. Height Laminate Right Return to Cover Stairs 1 in. Thick 016171838, leave review and share Your friends.